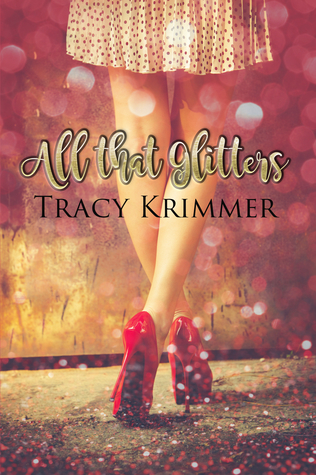 If you are looking for an easy delightful and charming read, I would recommend “All That Glitters” by Tracy Krimmer. I received an ARC of this book for my honest review. The genres of this book are Contemporary Romance, and Women’s Fiction. The author describes the characters as flawed, and mostly likeable. After being in the lime light as a famous country singer, and married to a famous singer, Dory Walker, gets the shock of her life. During a live interview, she finds out that her husband has filed for divorce. Dory has become used to a luxurious lifestyle, and now finds she has nothing. The only possession she has is her Mercedes. Dory heads home to her small town to live with her Grandmother. I really like Dory’s Grandmother. This is a tough, no mess me with person! Dory’s Grandmother insists if Dory wants to live in her house, she has to get a job. Dory has been negligent in keeping in touch with her Grandmother. Dory also comes face to face with friends from her past, that she ignored on her way to fame. I love the way the author describes the importance of family, friends and love!! It was great to see growth in the characters as well. This was a feel good book. Happy Reading!